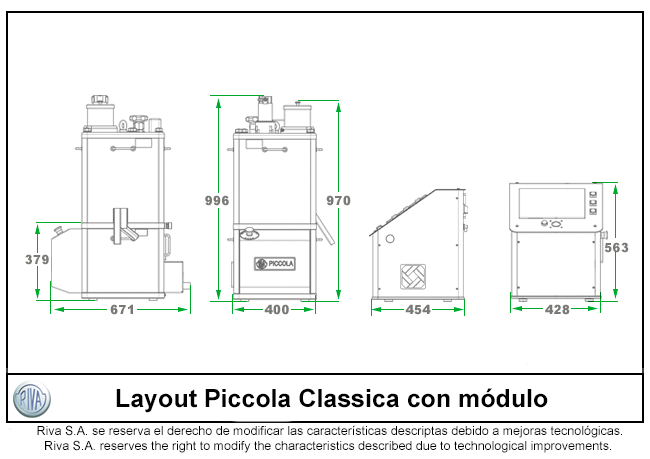 Piccola Classica with Module - Riva S.A. 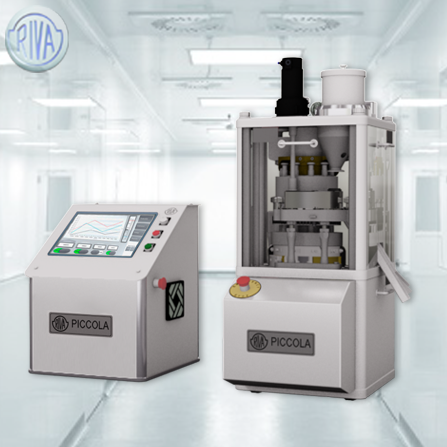 The PICCOLA CLASSICA is a rotary tablet press intended for the Research & Development area, designed for pilot plants and/or small production batches. Its settings allow operating with one to ten tooled stations. 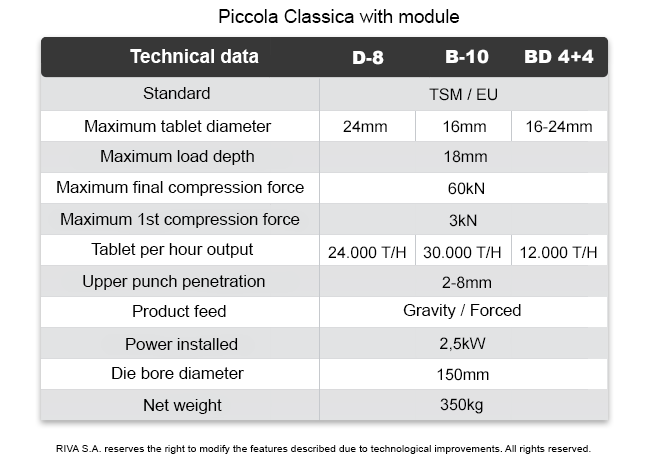 The tooling is TSM or EU B, D or BB standard. Among its main characteristics, it features a gravity or forced feeder system, a pre-compression system, quick format change, and easy cleaning and sterilization. It is also designed under GMP guidelines with surfaces machined with hard chrome and AISI 316 stainless steel. 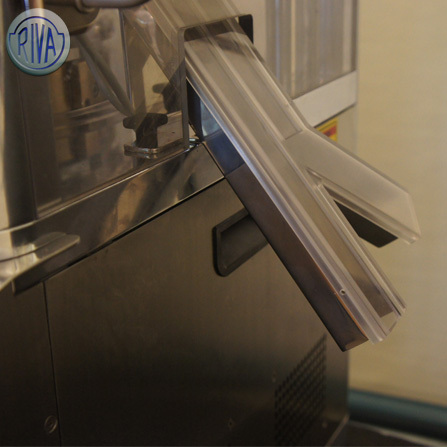 Machine operations are controlled from a touch screen panel on the front in its simplest configuration. For the Automatic Weight Control and R&D software it is controlled from a PC located on a control module separated from the tablet press. 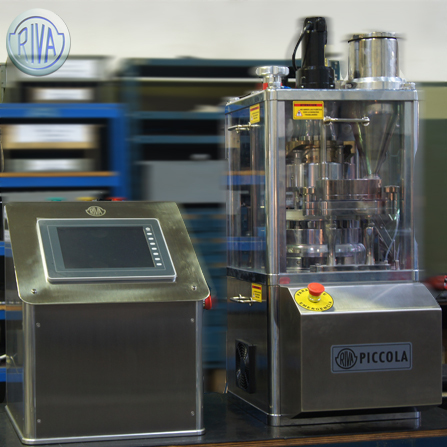 The RIVA software allows obtaining the individual measurements of the compression forces, automatic weight control, reports, monitoring, and total equipment control.